Last year I decided not to make a December Daily album. I was already doing Project Life so I figured that was plenty enough. 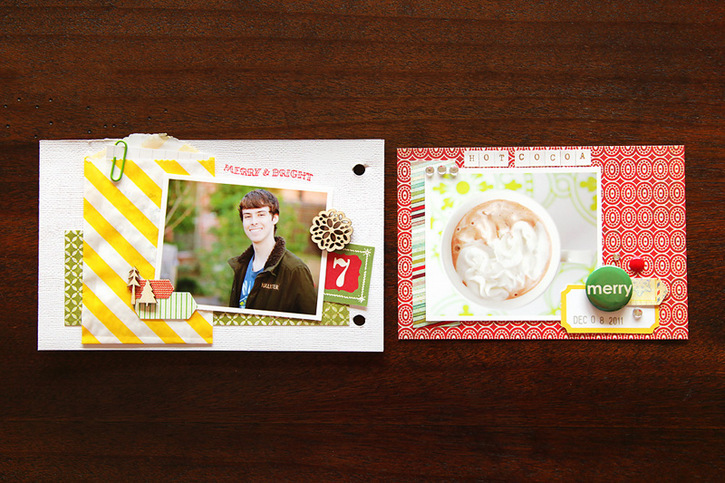 But then, when I saw the Studio Calico December Daily kit for this year I knew I wanted to make an album with those gorgeous supplies! 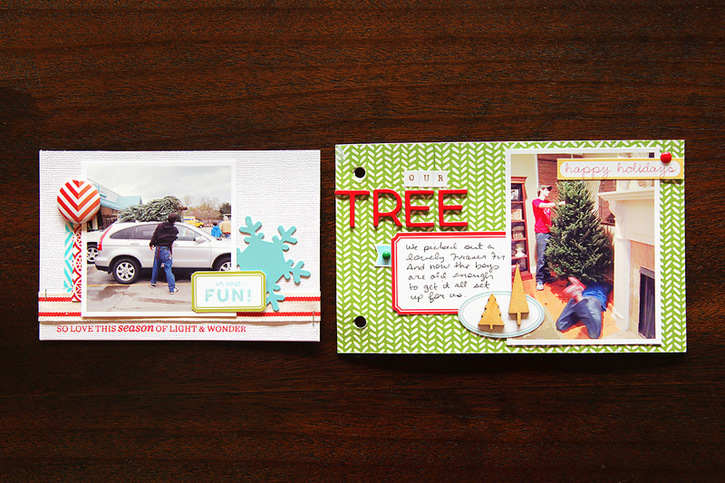 Because I already had lots of photos from last Christmas, I decided to make a book about 2011. It's easier for me to start with the photos. I know a lot of you make foundation pages in advance and add photos later, but that doesn't work so well for me. I guess I'll just stay a year behind because I really liked having all the photos at once to pick from and being able to make my album all at once. 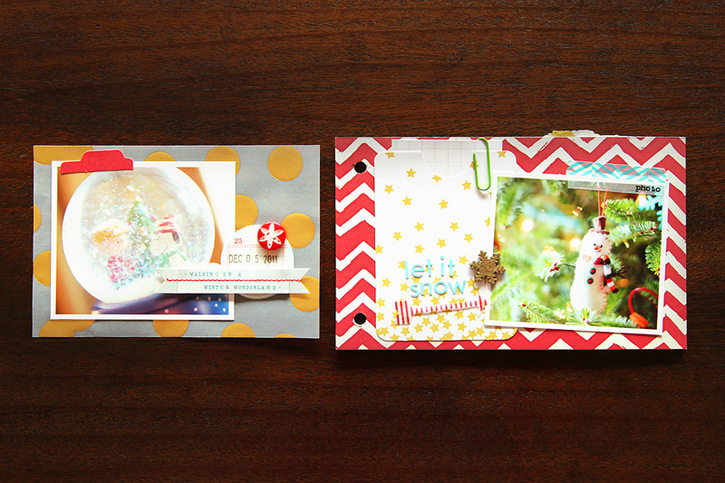 I guess my album ended up being more of a December mini book rather than a December Daily. There are days that I didn't include, but there are extra photos for times when I wanted to document more... like December 24 and 25. Here's my completed album. The pages are 4x6. 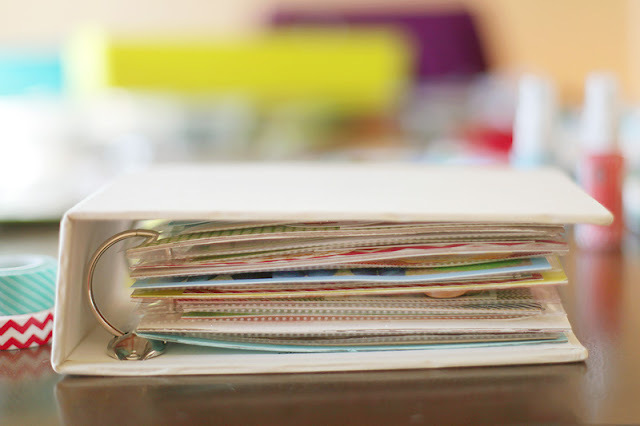 There are page protectors, chipboard pages and transparency pages. I'm still deciding on what to do with the cover so I'll share that later. This is my title page... it's a transparency page with the ribbon, trees and gems. 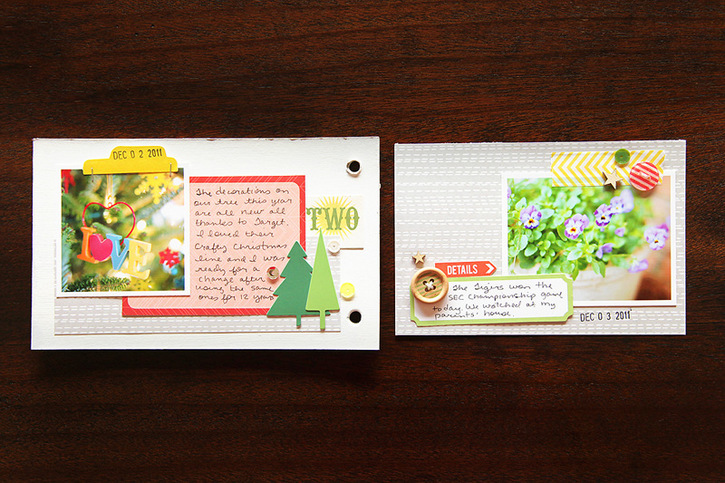 The stamped words and snowflakes are on the patterned paper inside the page protector on the next page. I'll share the rest of the album soon! 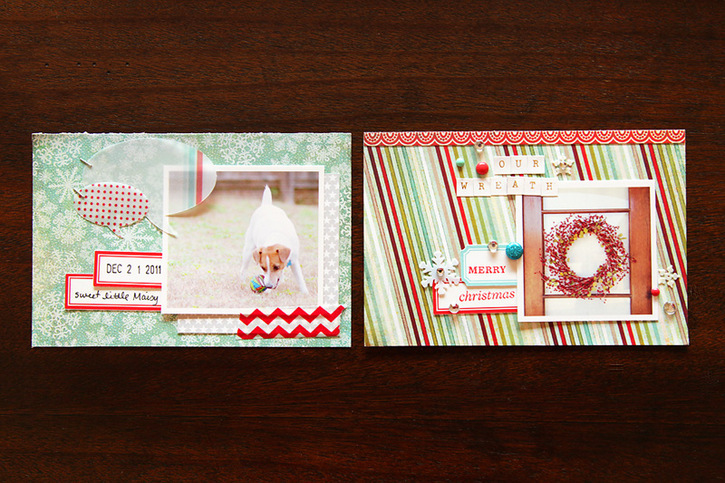 I mostly used the Studio Calico December Daily kit which is sold out, but some of the products are linked below separately. So lovely! 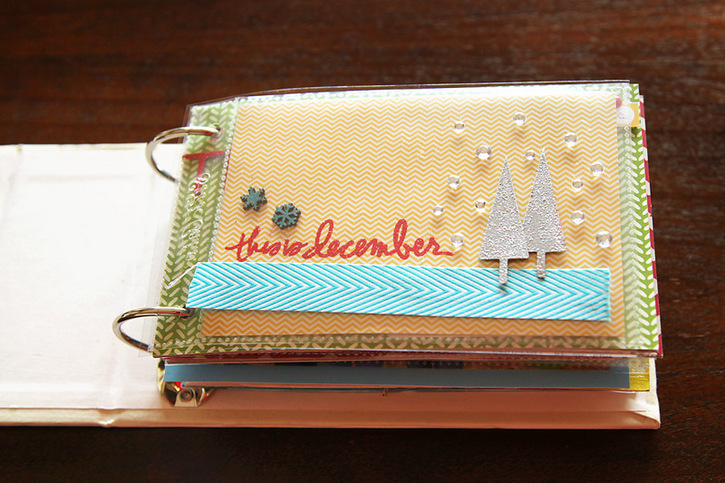 I really like the way the pages look when some of the embellishments are on the outside. Great work! Just gorgeous!!! Your title page is stunning!! I love the December daily album. I've never heard of this kind of album before - it looks great! 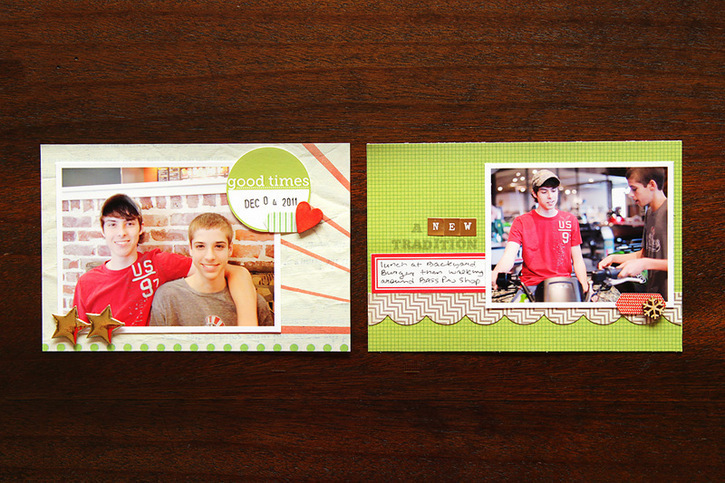 I was so afraid a 4x6 album would be too small, but I love seeing how all of these are coming out. This is such a great idea - I have a hard time too creating pages in advance without photos. This is great Deb...I am struggling with doing a DD as well as PL!!! thank you for showing us how to do this DD sweet and simple!! I think I can start now. Love it and I also love that you do your album a year behind.